This week, a taste of start-up life as we join Andrew Dunn, managing director at Maxus Scotland, tackling a new business brief, building his team and delivering the pizza amid the buzz of Edinburgh Festival. My morning routine is still something of a novelty, having returned to my native Scotland (to launch Maxus’ northern offering) after eight years working in Dublin. My day starts with a scenic bike ride. I cycle down the path beside the Forth Canal, cutting across Edinburgh Castle, through Princes Street Gardens to pop up just outside the Scottish National Gallery. I’m at my desk by 8:20 and it didn’t even rain (this time). One thing that hasn’t changed since I last worked in Edinburgh is that it’s still a fantastic, compact and incredibly beautiful city to live and work in. It’s a bold claim, but I believe I’ve got the most scenic and invigorating commute to work of anyone in media. Most of Monday is spent in a meeting with our marketing and new business team, developing our credentials, social media platforms and walking through the prospects list. Being a young agency, we’re still working on a few processes and procedures, but I see this as purely beneficial. It means we can make changes quickly, we can define the structure of the business to suit the needs of our clients, and from a personal point of view, it’s a unique opportunity to learn the ins and outs of building an organisation from the ground up. Two things are already apparent – a need to be comfortable with change (but who’s not in media these days?) and a willingness to stay on the learning curve. Having the support of such a dynamic mother business in Maxus UK that has been through its own period of rapid growth and development is an invaluable resource to tap into. Today it’s all hands on deck as we dive right in to a brilliant new business brief. It’s great to have the opportunity, despite the quick turnaround, and it’s our first time working with a clever bunch of guys from digital creative agency Whitespace. Collaboration is no longer a nice to have it’s a necessity. Media agencies need to leverage the creative insight that builds great content and ultimately engages consumers, and the wealth of data accessible to media agencies can no longer be ignored by creative agencies. With the proposal delivered, the rest of the day is spent chasing down some new leads and picking up pizza for the team. It’s a reminder of the importance of building a supportive workplace from the word go. No matter your stated job title, you should be willing to perform tasks from the challenging right through to the everyday – that’s what building an effective team is all about. The main focus of the day is resourcing. I start the day meeting our new digital business director, Sarah Levey, who has moved up from Maxus UK. We opened the Scotland office with a few brilliant individuals and a solid strategy and idea, but to succeed we’ll need lots of smart, motivated people who will be willing to burn the midnight oil and turn our vision into a reality. The afternoon is dedicated to interviews, two of whom are London-based candidates. It’s the people that make an agency and it’s great to see it all taking shape. Someone once told me "If you’re not learning, then you’ll not be earning". So today I’ve scheduled a large chunk of time to meet with three media suppliers and partners – Nick Bell at OOH specialists Kinetic, David Hill at Spotify, Ross Aiken and Mike Hartley at Trinity Mirror. Three very different suppliers but with one thing in common. They want to talk digital and data. It’s meetings like these and the insight and expertise each party brings that will help us to shape our proposition and create win-win scenarios for all parties involved (media, agency and client). At Maxus we empower our staff to work from wherever they feel they can be most productive, inspiring and collaborative. For me this varies. Sometimes it’s in the office in Edinburgh and at other times, in the London office where I can meet up with the other agency leaders. But today I’m out of the office and working at a new client’s headquarters so that I can build the relationship and really embed myself within their business. As the afternoon arrives, it’s time for my weekly call with Nick Baughan, CEO of Maxus UK. 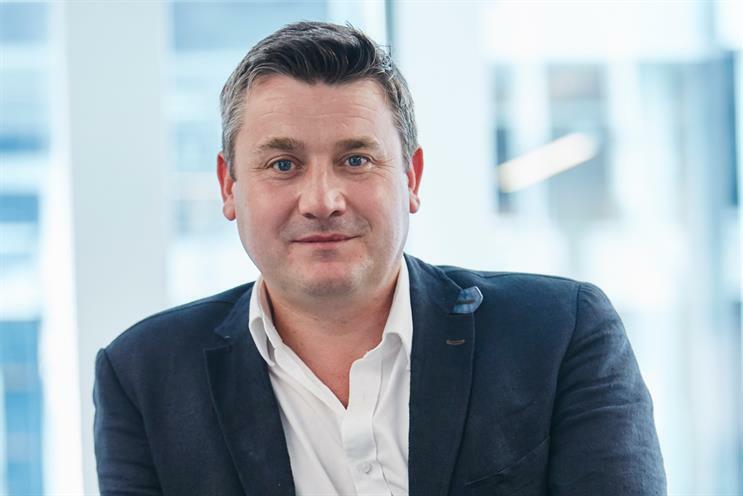 Last week’s fantastic news of Maxus securing the combined BT and EE business is high on the agenda, and specifically how we may be able to support with local insight and local media going forward. Plans and developments for Q3 are next on the list. I always try and "clock-off" on time on a Friday evening, even if that means starting early as it did today. Being part of a start-up means you have to adjust how you think about the working day; you’re putting in longer days (and later nights), and your responsibilities need to be fluid – you have to give it everything you’ve got. But time with my family is also really important. This weekend I’ll definitely be taking my two daughters (Georgia 12 and Marcie 9) to a few Edinburgh Festival shows. It’s an amazing time to be here.